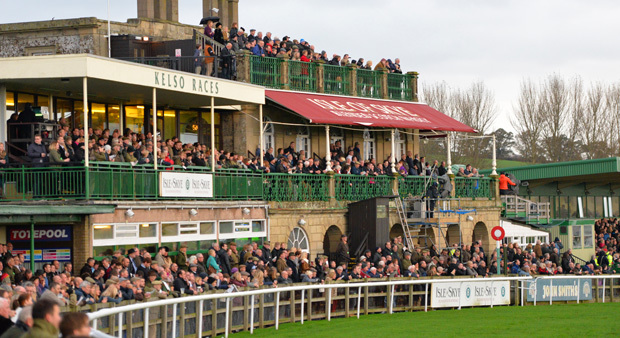 Gather your family & friends for a day at Kelso Races, where you can enjoy 8 exciting national hunt races with great food, drinks and a friendly atmosphere. Please Note: Race times & Bus Times may change in the run up to the race meeting. Tickets can be bought online from our ticket store, please click the button below to book your tickets. The Racecourse opens two hours before the first race. Aim to get here at least an hour before to familiarise yourself with the course, what is on offer and give yourself plenty of time to have something to eat and drink, and study the form ready to place a bet before the horses go under starters' orders. This provides all the information on the runners and riders for each race. It also gives tips, a low-down on the racecourse, which trainers and jockeys are currently doing well, who has travelled the furthest and recent form. It will give you a brief overview of their past performance - just in case you want to apply a bit more science to betting than just picking a name you like. 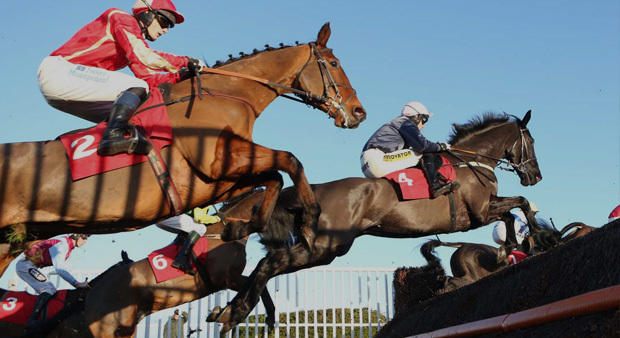 The card may also show the runners (in an abbreviated form) of other courses racing on the same day and you are also able to bet on these with the Tote and Bookmaker. Have a walk around the facilities. There will be plenty of time beween races to explore every part of the course and soak up the atmosphere of more than one particular area. The Racecourse is surrounded by stunning countryside. Take a few moments to enjoy the breathtaking views - see if you can spot the church spire on the horizon. Before each race you should take a look at the horses in the Parade Ring. Racehorses are beautiful animals and here you will be able to get really close. Fitness and well-being really count, so look closely and it is a great place to select your favourite (if you haven't already made your decision by studying the form). Horseracing is a fabulous spectacle in itself, but by putting a few pounds on your favourite horse, it simply adds to the excitement. Remember never bet more than you can afford to lose and little and often through the day is better for your health rhan putting everything on one horse. See BETTING for more information on placing a bet. Even if you are placing your bets with the Tote, we would encourage you to stroll around the Bookmakers Area and experience the hustle and bustle of the Betting Ring. With only one enclosure, there's various viewing areas where you can watch each race in a different place, especially the roof of the Main Grandstand which provides a fantastic and unrivalled view of the action. For at least one race, stand trackside. Feel the ground vibrate as the runners speed by and admire the majesty of these magnificent creatures from only a few feet away. 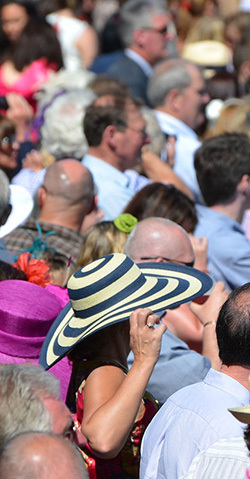 After each race, pop over to the Winners Enclosure and enjoy watching the winning and placed horses return to their jubilant owners and trainers and the presentations to the winning connections. Free parking for cars is provided in the grass field to the west of the entrance gates. Coaches are able to drop off and pick up at designated points close to the entrance and are then directed to the Coach Park. There are a wide variety of eating and drinking options available at the Racecourse. Anything from a burger to sitting down to a three course meal - see eating & drinking for a full list of options and remember some of these will need to be booked in advance. Picnics are permitted in the car park, but you will not be allowed to bring in any food or drink into the Racecourse. We do not stipulate a dress code, but the norm is "smart casual". 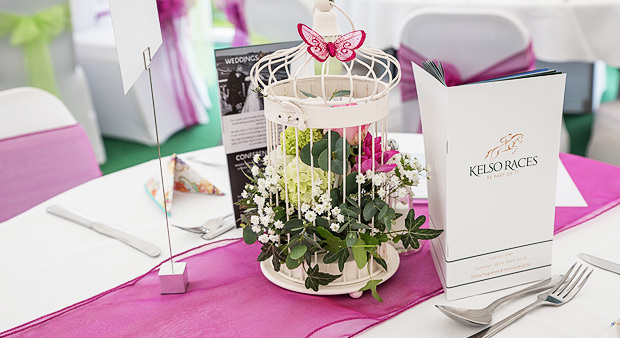 For a lot of racegoers (especially on Ladies Day) dressing up is all part of the fun of going racing. To enjoy all aspects of the Racecourse, you will need to do a fair bit of walking around, so give particular thought to your footwear and also the unpredictable Scottish weather!